There are 3 reviews of To Be. 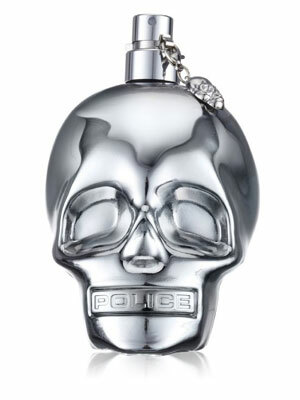 Police To Be is a fresh, fruity, aquatic fragrance. The dominant note to me is grapefruit, with hints of pepper, and somehow it manages to be light and ozonic yet also quite rich and "deep", making it fairly versatile. The skull-shaped bottle is certainly a nifty touch, although you need to remove the clip from around the sprayer before use which can be a bit fiddly (a'la Le Male). The sprayer itself can be a bit unpredictable in the amount it dispenses and tends to dribble on one's fingers a bit. Nevertheless, a very good fragrance, and after using a 40ml bottle I went on to buy a 125ml one, as it can usually be found at a very reasonable price. Great smell very Aqua at the end of day. On my skin the opting is mainly pepper and citrus, a less bright blood-orange like note. A violet is present in the drydown that is pleasant actually more on the restrained side, as is the fairly gentle patchouli note that mingles with it at a later stage. Cedar briefly makes an appearance before the end. Unfortunately silage and projection are poor, with a longevity of about three hours. Not without some originality, but nonetheless not really special. Maybe good in autumn on warmer days. NEW: Police - To Be Tattooart For Men! NEW: Police - To Be Tattooart For Women! NEW: Police - To Be Camouflage Pink For Women!